Go to the All Projects page and hover over the project icon and click on the $ icon that appears in the bottom left. Click on the Upgrade Plan Size button. In the billing settings popup, click the Update Billing Info button. Then click on the Replace Card button and enter your valid card information. You can also add / edit your billing details in the same window. Billing details are what will appear on any invoices. 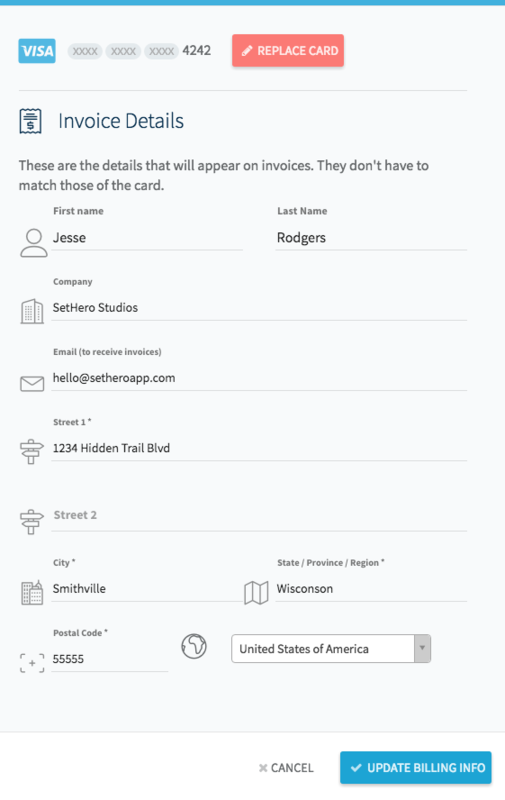 When the card and billing information is all set, click the blue Update Billing Info button to save the changes.